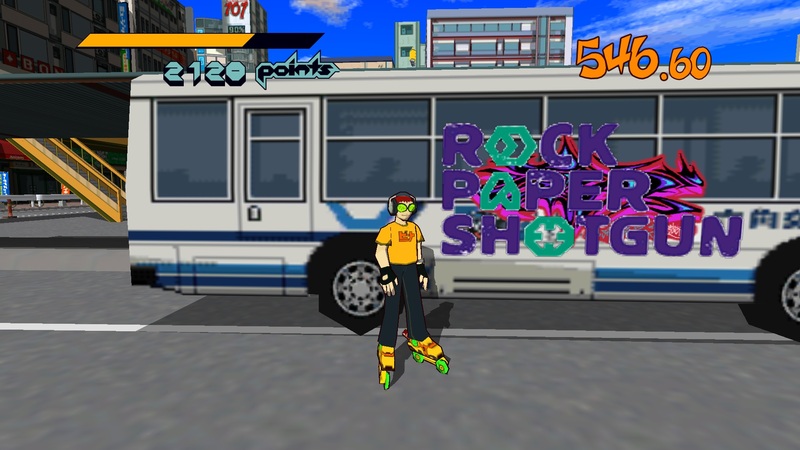 Released during the Dreamcast’s short time, the game saw its HD re-release towards the end of 2012, with all the bells, whistles, and sick beats. All is definitely not what it seems when your gang’s turf is being taken over by a mystery new group. Each level has you going around and tagging the streets, all while grinding on rails and pulling off sick tricks. It oozes with charisma on every cel shaded angle, with distinctive characters and labyrinthine levels. Later on, the time limits and challenges set by the other gangs will test your skills to manoeuvre around the city. Oh, and the music is catchy too. Of course, you probably know how great this game is. But what if I told you that you can import your own custom graffiti and spray your own amazing tags onto buses? Don’t believe me? It’s relatively easy to do. Just create a blank custom tag in the game, save the game and close it. Then download this tool (I recommend V4 as it seems the most stable), open it up and locate the folder indicated in the JSR Save Folder part. It’s basically your Steam Directory, then “userdata”, then the folder which contains the sub-folder “205950”. Finally, make sure the image you’re replacing it with has the resolution that is stated in the top left (128 x 128 for small, 256 x 128 for medium, and 512 x 128 for large) and a transparent screen should you wish. Finally, open the image in the respective size. You may not see it appear, but it’ll be there in the save file. Open the game and select the custom tag in the ‘select tag’ menu to see it in all its glory. It’s much better than the in-game editor anyway and allows for some creativity. Just one part of a fun game. Tagged with Blit Software, feature, Have You Played, Sega, Jet Set Radio. 2Mello makes us want to fight back.